A Live person you can speak with between 7:00 am & 7:00 pm. A mobile number for your emergency issues. A special email address for after hour's yard maintenance - lawn care - tree care issues. We address these issues by 11 AM the next day, at the latest. No surprise pricing, our year-round landscape maintenance agreements provide a fixed price for yard maintenance and a list of services to be provided so you know what you are getting for your hard-earned dollars. Consistent weekly service throughout the growing season. A worry free landscape maintenance all season long. We maintain crews all year long so we can provide service for your winter needs as well as your warm weather needs. This consistency of employment allows us to hire the most highly skilled individuals in our industry. We have a written code of conduct and we train all of our employees to close gates and exercise care when operating equipment around people and pets. A strict written policy prohibiting the use of drugs or alcohol by our crews. Our employees are not allowed to smoke on your property. We provide a fixed pricing based on the size of your property. We do not expect homeowners to know the size of their property so we will visit your property to properly assess the areas to be service. We like to build long term relationships with our clients. We believe that is one of the key reasons we have been in business since 1990. 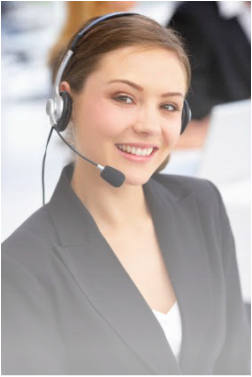 We prefer to meet you in person, so you can ask any specific questions about our company and the services we provide. We will then provide you with a written estimate that explains in Plain English the services we will provide and our NO Surprise Pricing Guarantee. Portland Lawn Care Companies that will give you a quote without visiting your property are taking a stab in the dark and if they priced it too low they will simply stop showing up. I encourage you to carefully review all of the information on our website and call us if you have any questions, so you can make the best decision in choosing a landscape contractor to make your property the envy of your neighbors. Due to the high demand for our services please provide us with your Name, Address, Phone Number and a Brief Message, either on Voice Mail, Email or our Contact Form to ensure a call back from us. Thank You and we look forward to hearing from you.